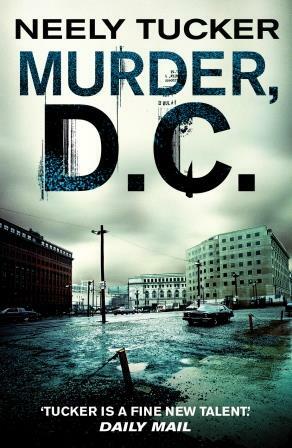 Murder, D.C. opening line: Sully Carter had a pleasant little bourbon buzz going. Sully Carter is a veteran reporter and he will stop at nothing to discover the truth behind the murder of Billy Ellison. The Ellison’s are an affluent and influential African-American family and Billy is the only child. He is found dead in a bad part of town where drug deals and gang deaths are every day occurrences. Sully does not believe that this is a drug deal gone bad and his questions lead to his life being threatened, another death and a truth too horrific to imagine. When Billy Ellison, the son of Washington, D.C.’s most influential African-American family, is found dead in the Potomac near a violent drug haven, veteran metro reporter Sully Carter knows it’s time to start asking some serious questions-no matter what the consequences. With the police unable to find a lead and pressure mounting for Sully to abandon the investigation, he has a hunch that there is more to the case than a drug deal gone bad or a tale of family misfortune. Digging deeper, Sully finds that the real story stretches far beyond Billy and into D.C.’s most prominent social circles. An alcoholic still haunted from his years as a war correspondent in Bosnia, Sully now must strike a dangerous balance between D.C.’s two extremes-the city’s violent, desperate back streets and its highest corridors of power-while threatened by those who will stop at nothing to keep him from discovering the shocking truth. Whereas the story line was not too bad, I did not enjoy reading this book. Neely Tucker is being lauded as a great new talent but he won’t be an author I add to my ‘must read’ list. I just could not get through the speech patterns of this book!